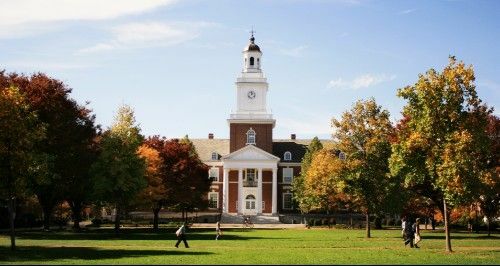 Michael Bloomberg has pledged $1.8 billion to Johns Hopkins University, a sum that will enable his alma mater to permanently admit undergraduate students regardless of their family income. While the former New York City mayor and financial-information tycoon's goal of equalising access to top-tier education is laudable, he should have donated to hundreds of universities rather than a single one. Bloomberg, whose charitable giving before this latest gift exceeds $6 billion including $1.1 billion for Johns Hopkins, explained the thinking behind the largest academic donation in US history in a New York Times op-ed. He argued that barring students from accessing higher education because of their wealth “undermines equal opportunity”, “perpetuates intergenerational poverty” and “strikes at the heart of the American dream”. His gift to Johns Hopkins will remove income from the admission equation, and allow the university to offer more generous scholarships, reduce students’ debts, lower family contributions and bolster recruitment of underprivileged students, especially from schools where prestigious colleges aren't even considered as possibilities. “There may be no better investment that we can make in the future of the American dream”, wrote Bloomberg in his column. However, critics such as Malcolm Gladwell argue that giving to elite academic institutions is wasteful and only concentrates wealth and privilege further. “Is our educational system better or worse off for having a small number of schools with a massive amount of money, and a very large number of schools who are hurting?" he asked after hedge fund manager John Paulson donated $400 million to Harvard, which has an endowment of over $37 billion. The New Yorker writer and author believes billionaires give to top schools “because all their friends pat them on the back, they get their name on a prestigious building, and they get associated with...those institutions”, and don't consider the broader impact on society. Bloomberg presumably gave to Johns Hopkins out of gratitude for the education it provided, which enabled him to flourish in business, politics and other arenas. He may genuinely wish to open the university’s doors to underprivileged students around the country and empower them to pursue their dreams and lift themselves out of poverty. But topping off the coffers of a single elite university means his money will only help the 6000-odd undergraduates there in any given year. He should have committed his cash to helping hundreds of colleges that are struggling to make ends meet. If helping the brightest students in the country is a priority for him, he could set aside a tenth or a quarter of the funds for scholarships. Handing so much money to Johns Hopkins, which boasts a $3 billion endowment and already admits its undergraduate class on a needs-blind basis, could even exacerbate income inequality by concentrating more wealth and privilege among the academic elite. Pledging nearly $2 billion to help talented but disadvantaged students receive a high-quality education and improve their lot in life is truly admirable and undeniably generous. But Bloomberg is only helping a select few; giving to 100 universities rather than a single one could equip hundreds of thousands of students with the tools to succeed. Before writing another cheque, he should do his homework. Spotify Premium is a Winner. Time to End its Free Option.